The Rev. 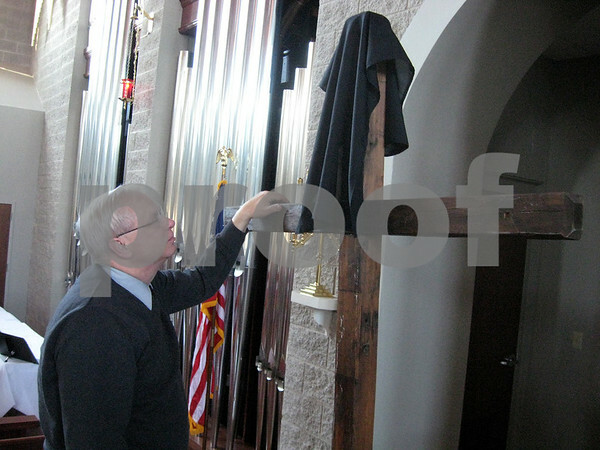 Robert Weinhold peers at a cross at the altar of the Evangelical Lutheran Church of St. John in Sycamore. The cross is part of the chruch's Lenten services, which begin with Ash Wednesday next week.